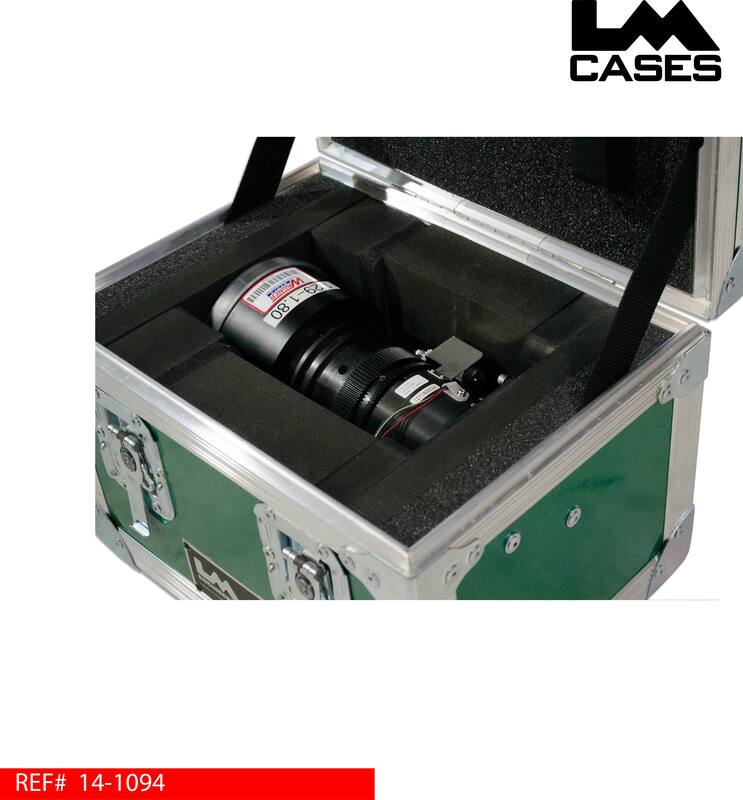 This case was built for Wagner Media to hold their Eiki1.29-1.80 projector lens. 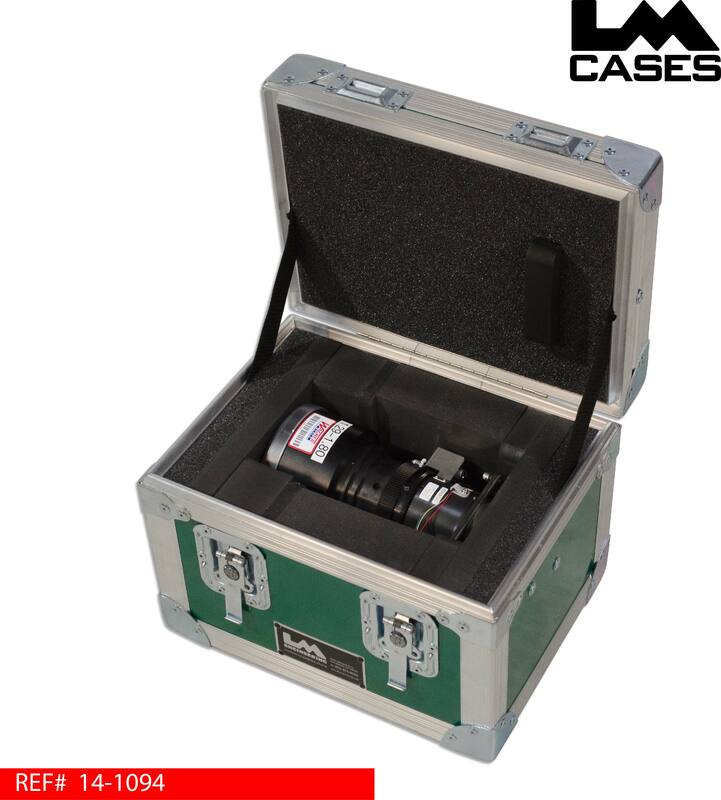 The lens is held in a custom foam lined compartment that supports it from varying heights allowing all surfaces to be equally contoured. The foam compartment features crosslink foam pieces at both ends which allows the lens to be shipped without caps. Crosslink foam features a Class A scratch resistant surface which wont scratch the delicate glass of the lens. 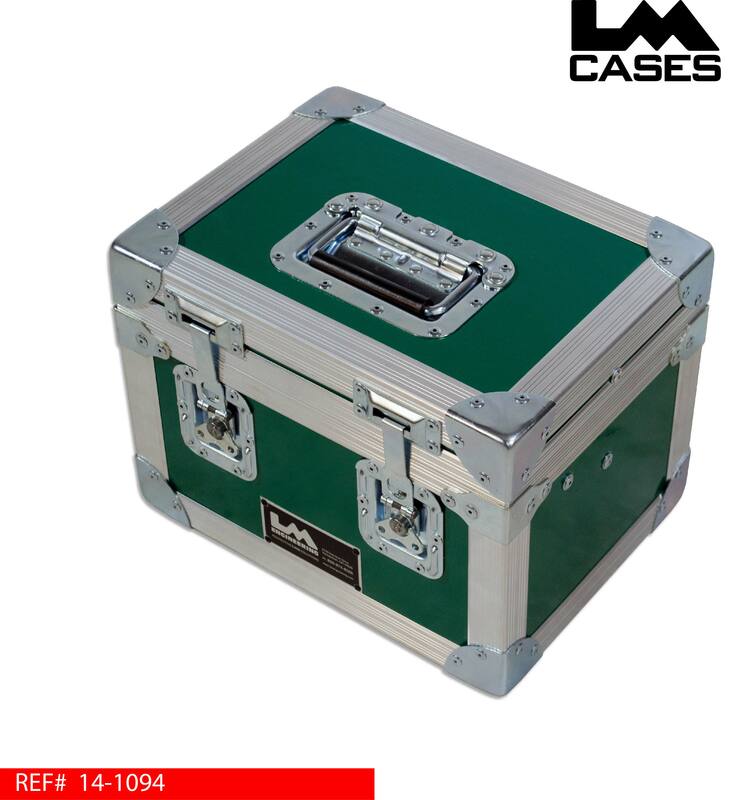 The exterior case is built from our proprietary 3/8" composite panels laminated with green fiberglass and features valance spanning latches to yeild a contiguous tongue and groove to aid in keeping moisture out of the case.